Marked as Korona Made in Poland sugar bowl. 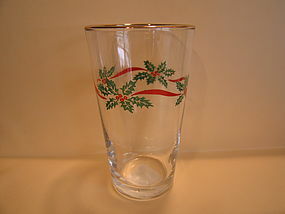 This is a holly and berry pattern. Little if any sign of use. Several platters are available in this pattern. 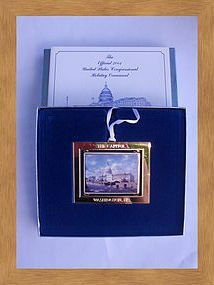 The Official 2001 United States Congressional Holiday Ornament in original box with authenticity paperwork. The box shows light age related creasing. Label on back for Midwest of Cannon Falls metal Santa Claus Candle Holder. It is made for hanging. It is 6 3/4 inches in height. I am not sure of the age, but is not old enough to be considered vintage. Mug identified by 1314. 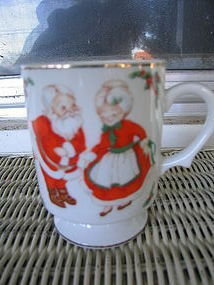 One side shows Santa Claus dancing with Mrs. Claus and the back has holly berries with ribbon. It is approximately 3 3/4 inches in height. Minor wear to gold trim. Others of the series are available. I need your zip code to calculate the postage. Vintage porcelain mug from Lefton marked as 2377. It measures 3 3/4 inches in height. It is part of a set manufactured in Japan. Minor wear to the gold trim. There is a picture of Santa's boot filled with holly, berries and ribbon on the back. Other mugs in the series are available and priced individually. I need your zip code to calculate the postage. 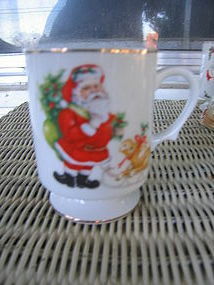 Mug marked David Carter Brown Sakura Oneida Holiday. This is from the Merry Little Christmas line. 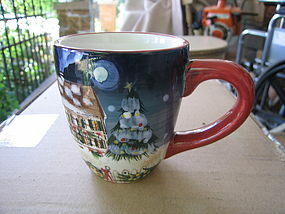 The mug features a snow scene, Christmas trees and a house. There is no damage, but does have manufacturing flaws. I need your zip code to calculate the postage. 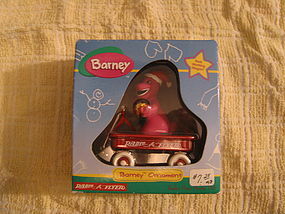 Barney Radio Flyer Christmas ornament in original box and still sealed in plastic. The box is dated 1998 on the back and 1999 on the bottom. The box does show age related wear. I need your zip code to calculate the postage. 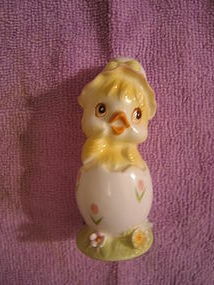 Vintage egg with hatching chick figurine marked as Napcoware Bone China. There were several styles of these manufactured by Napco, so look at photo carefully to make sure this is the one you want. It is slightly over 3 inches in height. At first, I thought some of the flowers had tiny chips, but after checking with magnifying glass, decided this is just the way it was made. I need your zip code to calculate the postage. 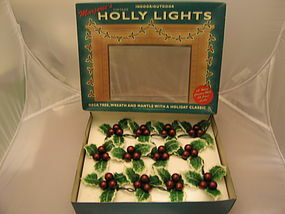 This is an unused set of Christmas lights identified as Marjorie's Vintage Holly Lights Restoration Hardware H.S. Craft Mfg. Co. I am not sure of the length, but the box is marked 12 Holly Clusters with 36 Jewel Lights. I didn't want to remove the set from the original packaging, except to plug in for testing. It is in good working condition. I believe the set is about 10 years old. Additional identification photos are available by email. I need your zip code to calculate the postage. 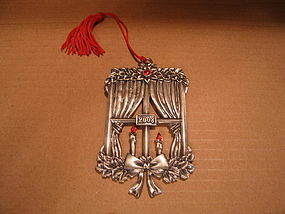 Marked as Avon 2008 ornament, manufactured, in what appears to be pewter. It is has bow and two candles with ruby red glass accents. It measures 3 3/4 x 2 1/2 inches. There is no damage. I need your zip code to calculate the postage. 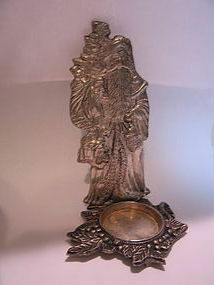 Metal ornament with box. All days are available and sold individually. Vegetable or serving size bowl, measuring approximately 9 inches in width. It is marked Baum Brothers Southington and manufactured in Poland. There is no damage. Other pieces are available in this pattern. I need your zip code to calculate the postage. The tumbler measures 5 7/8 inches in height. Retains original label and shows no damage. I need your zip code to calculate the postage. I think this would be considered an old-fashion tumbler. It measures 4 1/4 inches in height. There are no chips, cracks, breaks or rough rim, but has some wear to the finish. 3 are available and priced individually. I need your zip code to calculate the postage. 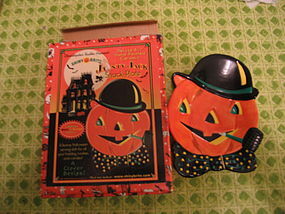 Christopher Radko Jaunty Jack snack plate. It measures 7 3/4 x 5 inches. It comes with original box. There is no damage, however, the box shows wear. It is not dated, but the leaflet inside the box is marked as 2002. I need your zip code to calculate the postage. 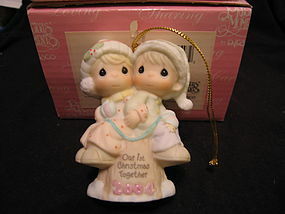 Manufactured by Enesco in 2004. 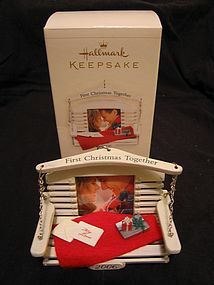 There is no damage to the ornament, however, the box shows wear and storage marks. I need your zip code to calculate the postage. 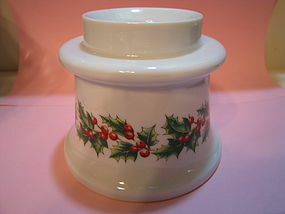 Bavarian Village candle holder with holly and berry design. It is approximately 3 3/4 inches in height. 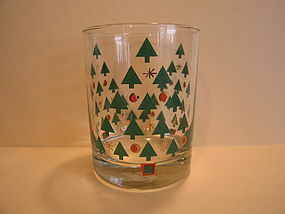 The design is quite unique, in that it can hold 3 sizes of candles (2 1/2, 1 3/4 and 1 inch). The quality of the porcelain is quite nice. I believe, this is the company that manufactured the tiny candle holders call FUNNY DESIGN. It has been used, but shows no damage. I need your zip code to calculate the postage.